This course explains IT governance as it pertains to the evolution and regulation of cloud computing environments and assets. 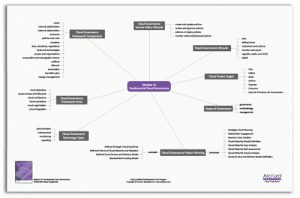 Numerous models and framework components are explored to establish highly structured models for identifying and associating formal cloud governance precepts and processes to common cloud project stages. The cloud governance lifecycle itself is described, along with associated tools and technologies that are further categorized into technology types that help automate different cloud governance task types. Cloud domain IT resource inventory models and cloud governance level models are also defined to help formalize and customize a comprehensive cloud governance framework. Finally, the course concludes by providing precepts and processes for the project plan stage, including strategic roadmap definition and criteria for cloud maturity and adoption. Additional project stages are covered in CCP Module 11. 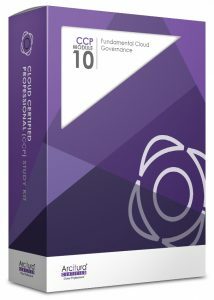 Visit the CCP Module 10 Study Kit page for pricing information and for details. Also, visit the Study Kits Overview page for information regarding discounted Certification Study Kit Bundles for individual certification tracks.